If you’re a fan of street art, you need to visit Denver, Colorado. 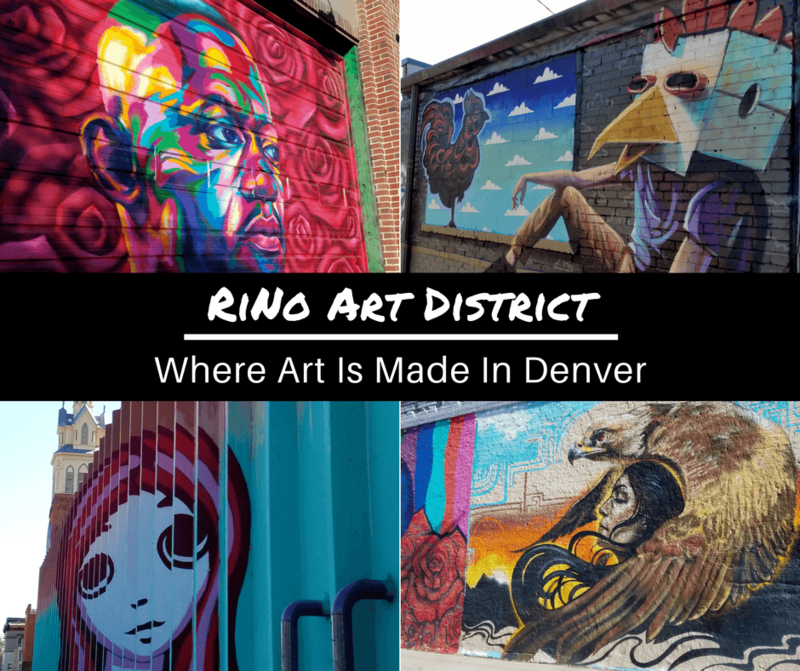 More specifically, you need to visit the RiNo Art District because it is “Where Art is Made” in Denver. The RiNo Art District is just north of downtown Denver in the old industrial area of the city in what is known as Five Points. RiNo is short for River North. Artists began inhabiting the area in the 90’s for the vacant and inexpensive industrial buildings in which they could house their studios. In 2005, two artists created the River North Art District and it is now considered one of Denver’s hottest and trendiest neighborhoods. The area is booming with galleries, studios, artisan shops, breweries, bars, and restaurants. One thing we at BTTM love about this area is the street art. The exterior walls of buildings in the area are covered with beautiful murals and many of the alleys are filled with colorful graffiti. Since Denver is known for its sunny days, why not enjoy one of them by walking through RiNo admiring the beauty that so many artists have put on display for us. If you happen to be in town for one of the monthly First Friday events, the galleries are open to the public until 9pm. Here is some of our favorite RiNo street art! If you work up an appetite after walking around and admiring all of the street art, why not check out the Denver Central Market? Inside there are multiple counter-serve shops serving coffee, pastries, lunch items, fresh produce, and even a meat market. About The Author: Alicia is an amateur photographer from Colorado. She loves camping, dogs, and cake. Follow her photographic journey on Instagram. Wow! These are awesome street arts! Thank you so much for sharing the beautiful pictures! Denver is full of surprises. I’ve been going to the city for decades, but it’s usually on my way to ski or hike in the nearby mountains. It looks like I need to schedule some time to properly explore the city. It looks pretty cool. Denver really is surprising. I have lived in the area for a long time and have only recently discovered some of the amazing things in the city! Let us know when you come back through! Street Art makes a City so much richer in Beauty and colours. The murals look absolutely amazing and there is so much Talent there. Thank you for sharing your great Pictures! I completely agree…so much talent! It has made what was once a run down area look much more alive and vibrant! That was one of my favorites too when I was exploring the area. It is so impressive! I hope you get a chance to visit soon! I had no idea there was such a vibrant street art community in Denver. I was just there in April, wish I had known. Those murals are impressive, my favorite is the wall with the colorful rectangles. Although, the paperbag chicken head guy is pretty cool. Don’t feel bad for not knowing, I have lived here many years and just figured it out, lol! I have chickens, so I am partial to the chicken mural. I love that you mentioned the rectangles, I was so impressed with them I recently used them as a backdrop for a senior portrait photo shoot and it was perfect! Wow, what striking images. These are amazing, I had no idea parts of Denver are so vibrant and cool. It’s been years since I was there and I’d love to back and check these pieces out. The murals with faces are powerful. Great photography!! Thanks for sharing this unique side of Denver! Thanks! You definitely should visit again and check it out! Denver is changing so much and has so many things to offer! Thanks! That was the first mural I saw when I arrived in RiNo and it was so impressive. If you get a chance to see it in person you’ll be amazed by the awesome detail and huge size of that mural! I’m such a fan of street art. It just is the perfect way to revitalize a neighborhood. Several areas in Brooklyn have the same profile as RiNo, industrial turned to artsy, hipster chic. I love the work of the girl and the fox. The feathers in her hair have such great detail. I have only been to the Denver Airport so that doesn’t really count. Denver is a city I’m keen to explore – thanks for the info on the steeet art (and the dining and pro tips). It looks like an open air art gallery. Fantastic! Street art is always on my agenda coming to any new place or revisiting the old ones since it is such a fluid medium. Too bad my plans are settled for the next year. Otherwise, I would love to visit RiNo district. Love the name too. It might be the abbreviation of River North, but to me, it reminded of the rhino, that big, natural armor plated animal that still looks like it did 100 million years ago. I’ve been to Denver, that that was long ago, and probably before the RiNo Art District was formed. I would love to return and check that out, as I really love street art. Loved your pics!